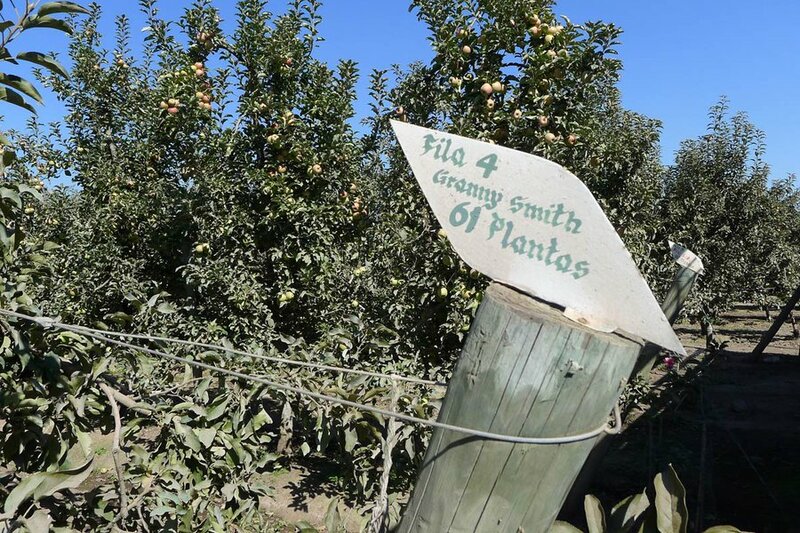 Mommy, Where Do Apples Come From? 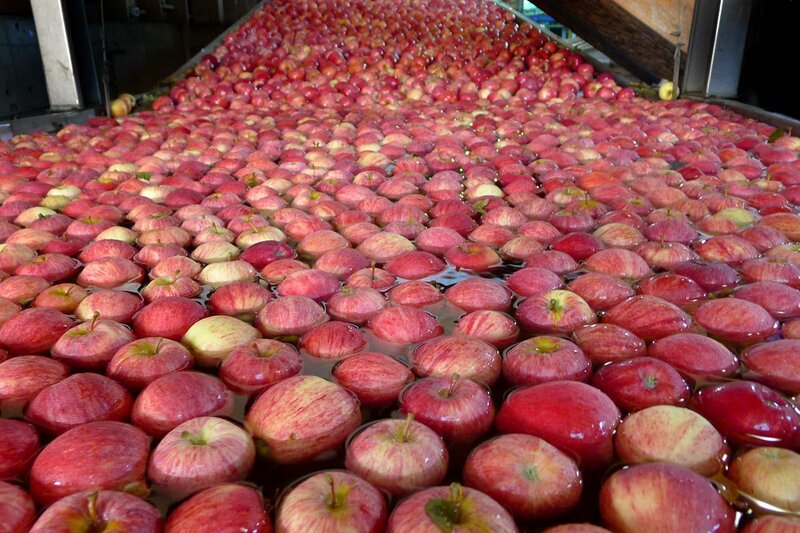 Organic apples, ready for their closeup. Photo by Pavia Rosati. 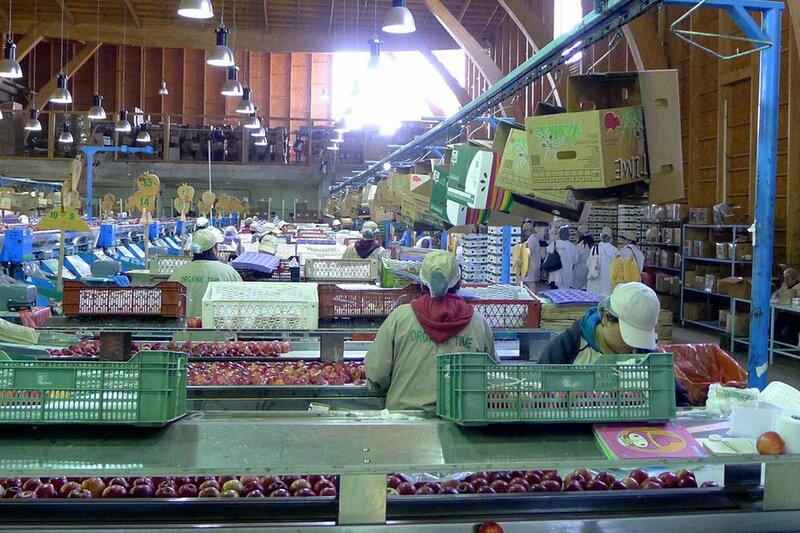 Popupla's Pavia Rosati toured an apple farm in Chile and got a firsthand look at how apples go from grub to global grocery. 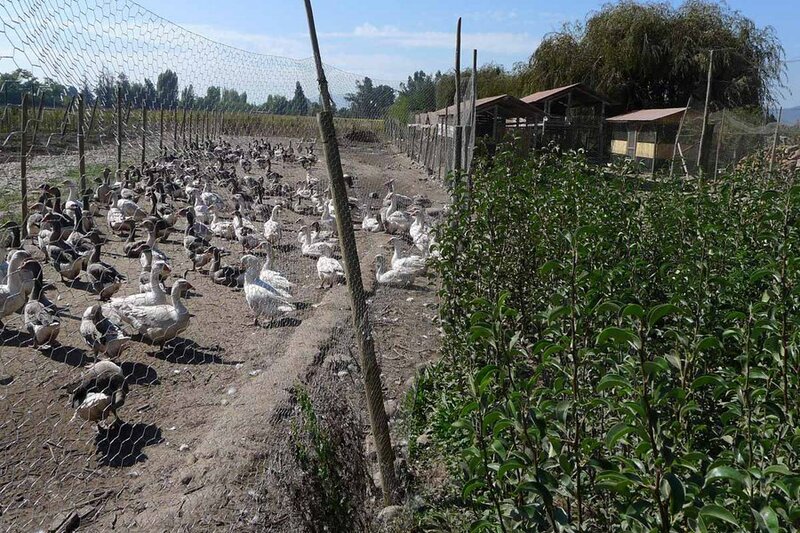 COLCHAGUA VALLEY, Chile – Let's agree that it's better to eat food that's local, organic, and bursting with nutritious goodness. The kind you get when quality seeds and healthy soil meet loving farmers, generous cooks, and conscientious eaters, with happy bees and greenmarkets playing matchmaker in between. Now let's also agree that this is a food magazine fantasy of what eating should be. And that more often than not, eating involves a busy shopper in a grocery store not really sure where the food in the plastic bag is coming from. 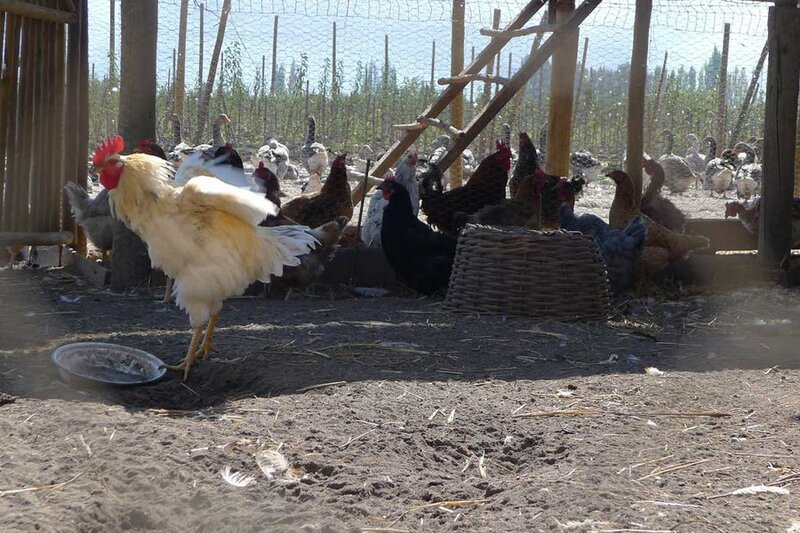 Last year, invited me on a trip to see where so much of the food that Chile exports is grown and produced. 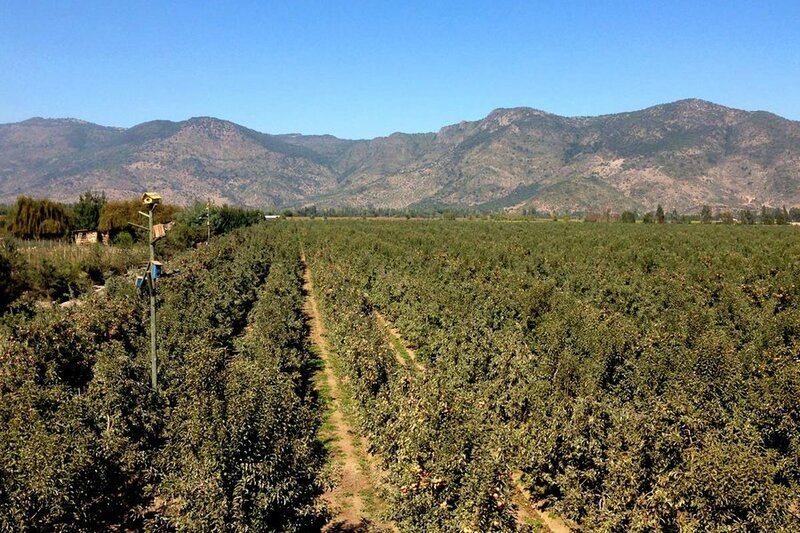 (It's astonishing just how much of Chile's harvest the rest of us eat.) 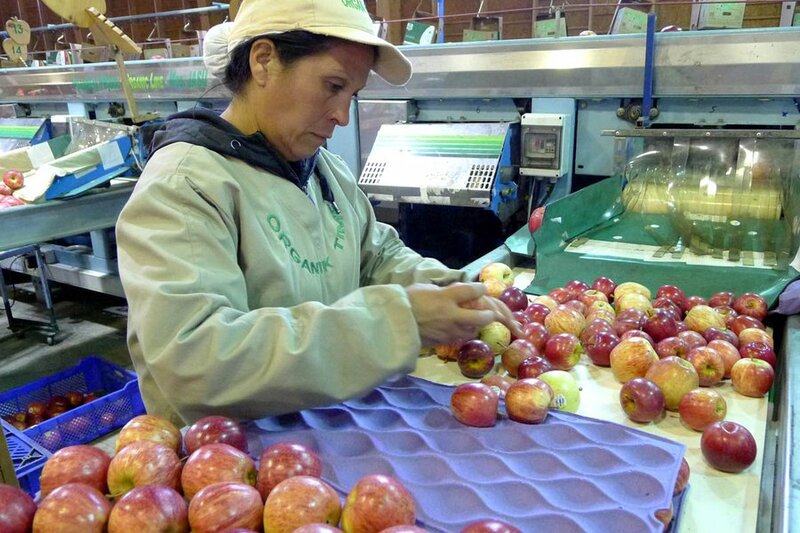 Which is how I found myself wrapped in a lab coat with a hair net at farms, an apple orchard and production facility in the Colchagua Valley south of Santiago. 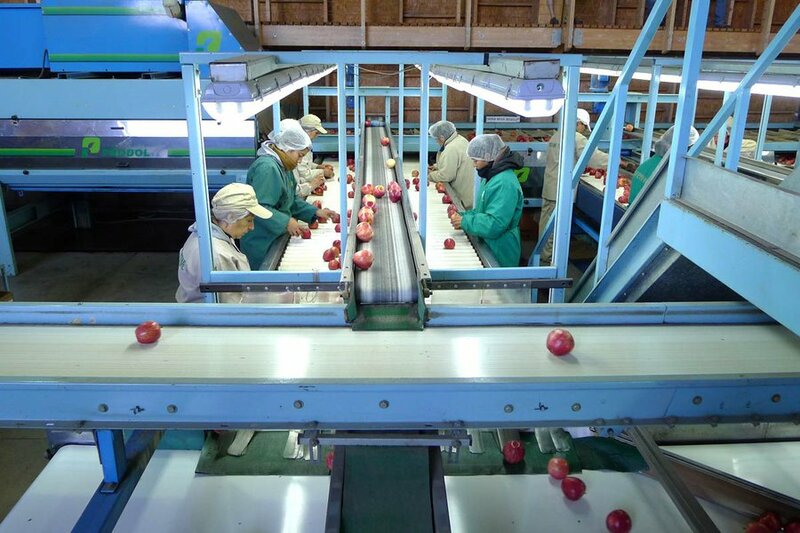 They grow, process, and ship organic and conventional apples throughout the world under different brand names, depending whether the fruit is going to Germany, France, or the United States. Their organic line is called Organik Time. 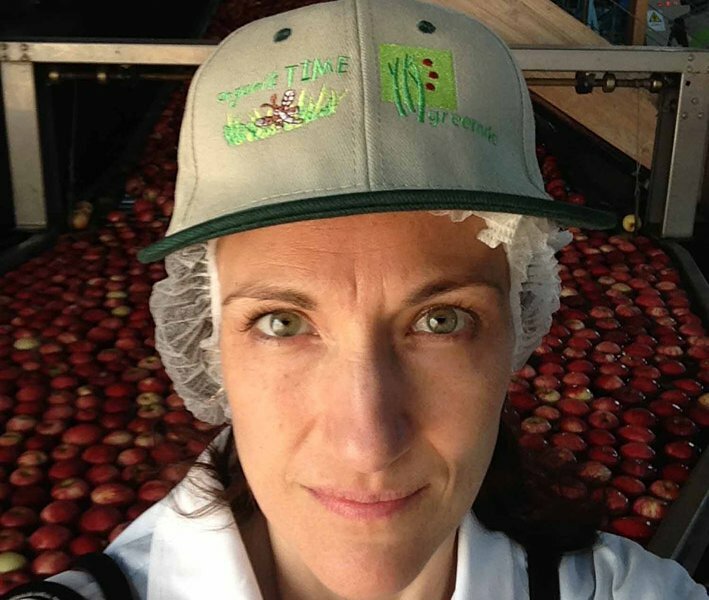 I grew up spending summers on my family's farm in Italy — bike riding through the orchards, watching the trucks get weighed for shipments, picking pears during the harvest. When I was nine years old, I didn't know or care about pesticides or farm stands or the nutritional value of what I put in my mouth. I only knew that eating too many unripened pears would give me a stomach ache. And I did it anyway. But now I'm a few decades into more sophisticated food awareness — of agribusiness, of globalization, of vitamin C — and I found the afternoon fascinating. Greenvic is a private company, so I doubt that most travelers can pitch up and get a tour of the farm, the farm house, and the factory. Though everyone was so proud of their work, I bet they'd be more than happy to show it off. That's what loving farmers and happy bees do, after all. 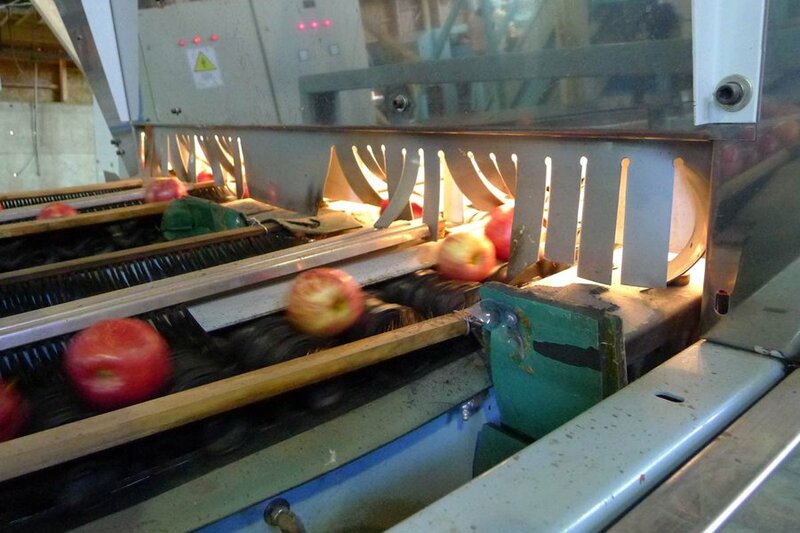 In the meantime, here's a slideshow of the lifecycle of an organic apple. 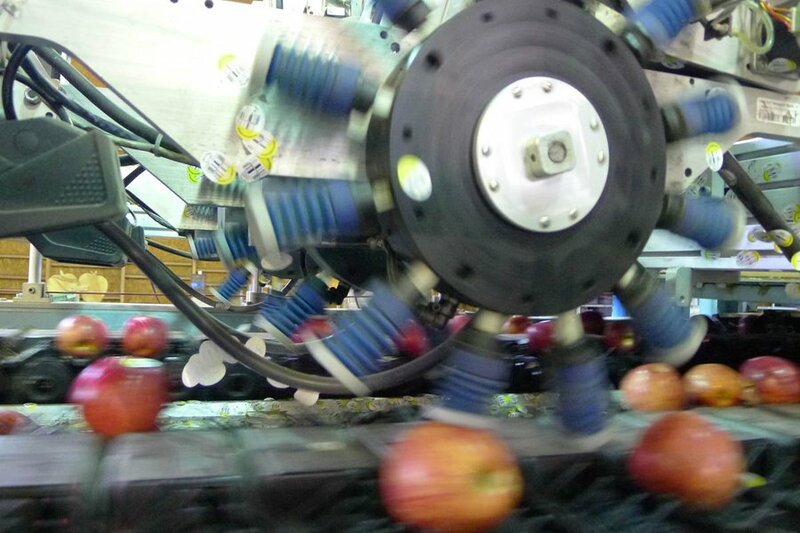 Apples, from grub to grocery. Everything is labeled. The font just adds to the charm. 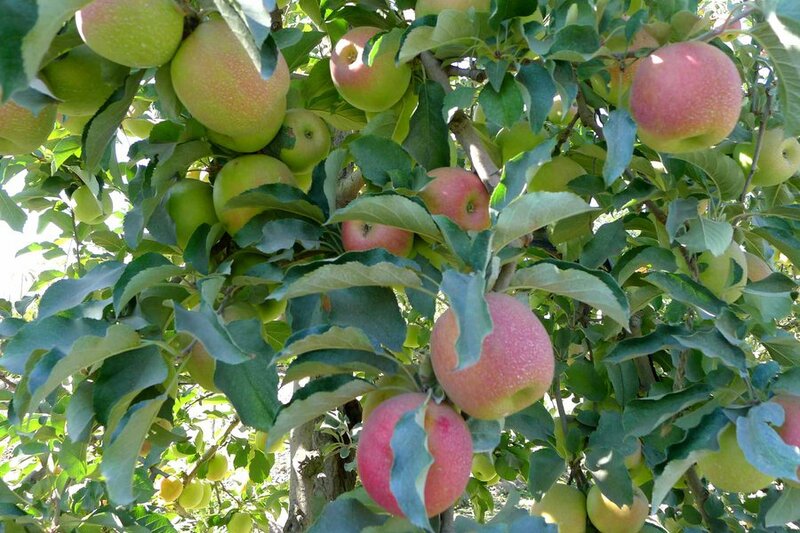 Gala is the most popular apple, followed by Pink Lady and Fuji. 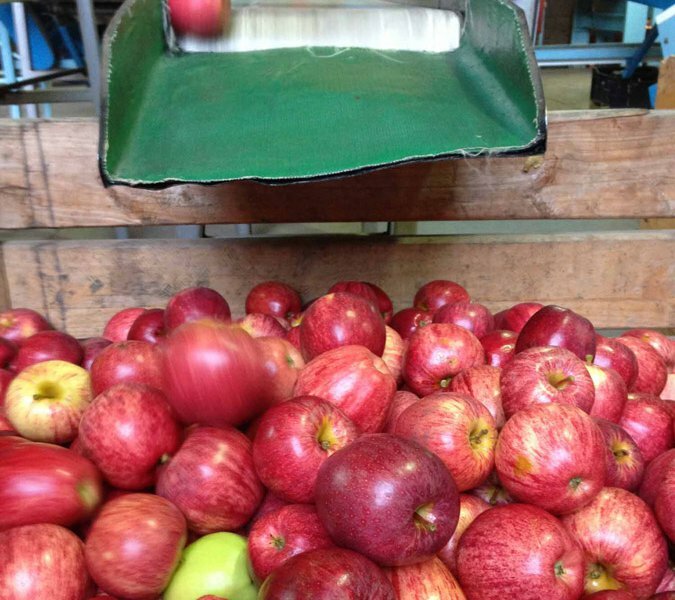 It's the same order for organic and conventional apples. 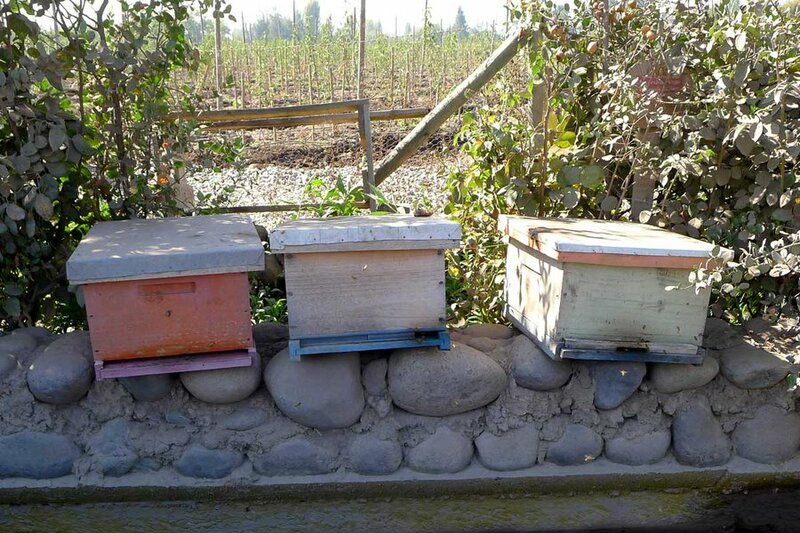 And the honeybees handle the fertilizing. This, friends, is organic farm work at its finest. 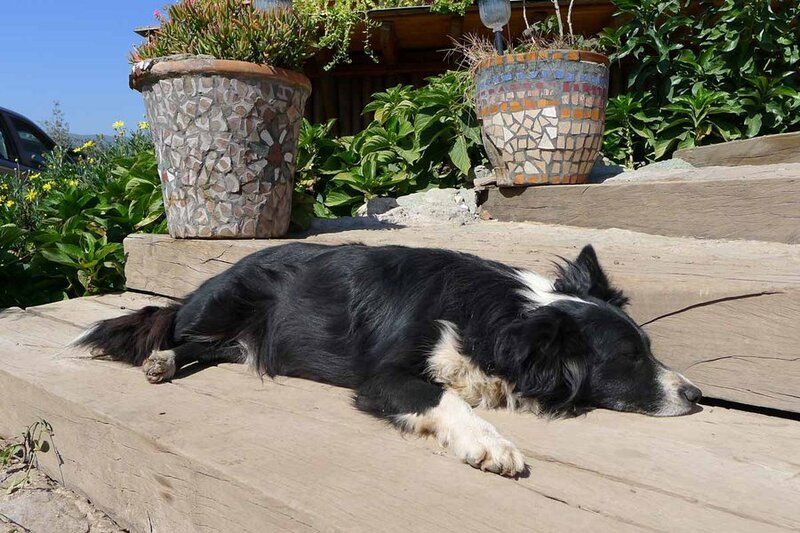 From the looks of it, this guy doesn't have much to do. 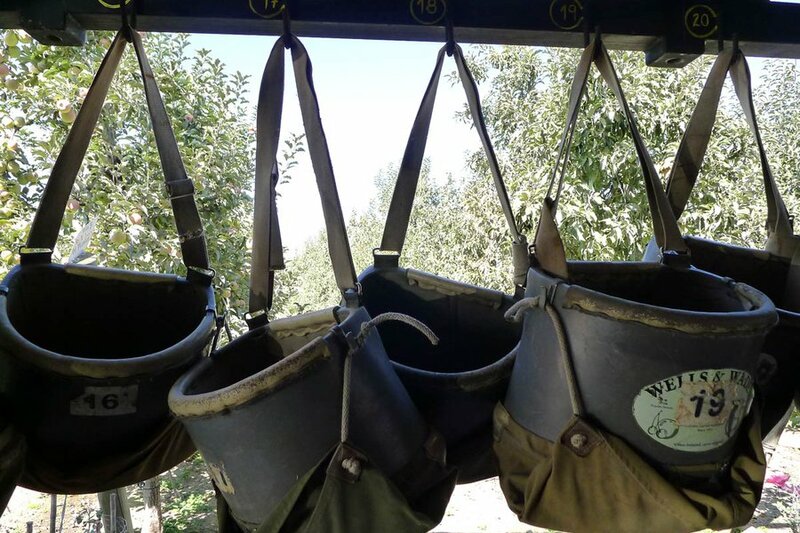 When the apples are ready, they're picked in these buckets. Then they're ready for processing. 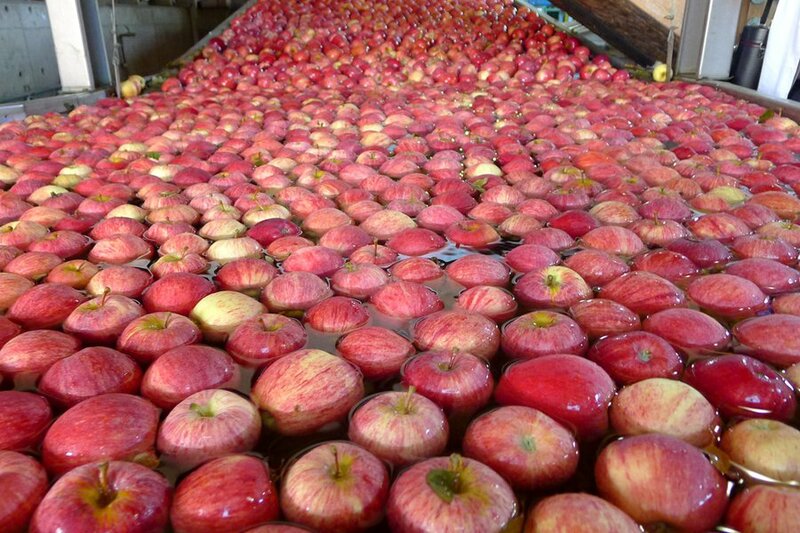 The apples are dumped into a pool of water to prevent bruising. No one wants my hair in their apples. I'm wrapped up. 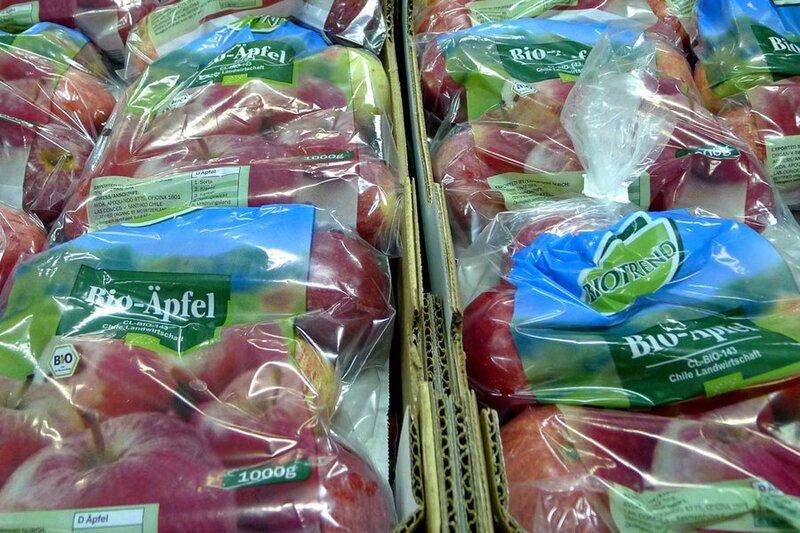 The apples ultimately end up in these bags in supermarkets all over the world. They walk the eco walk at Greenvic. 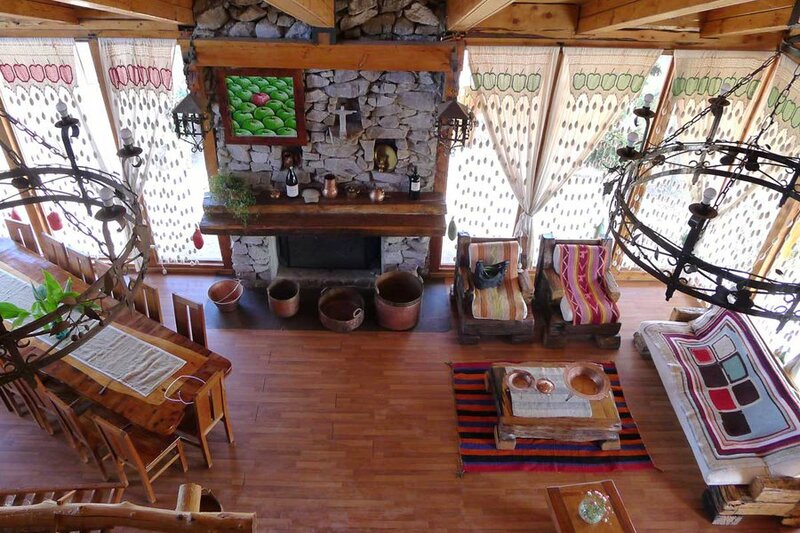 The foreman of the farm lives in a solar-powered house made of recycled materials. There's a serious apple theme: Note the embroidery on the curtains and the painting above the fireplace. The foreman has a few children. 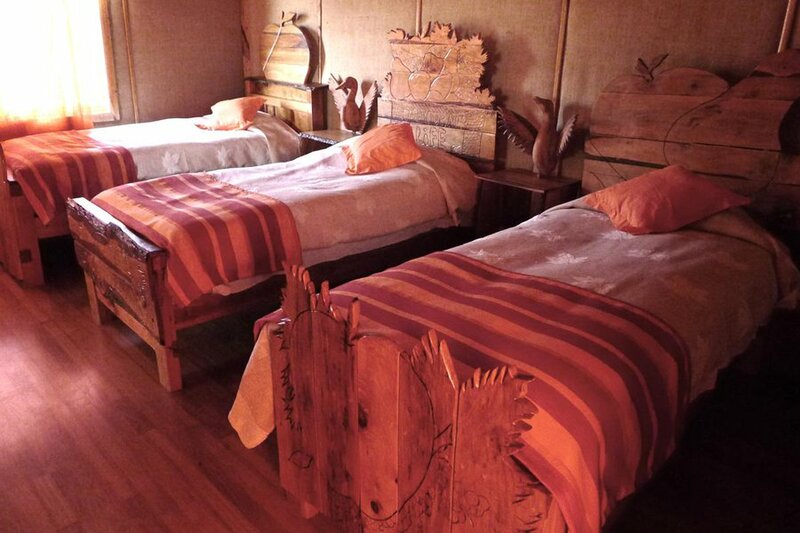 This is their room. 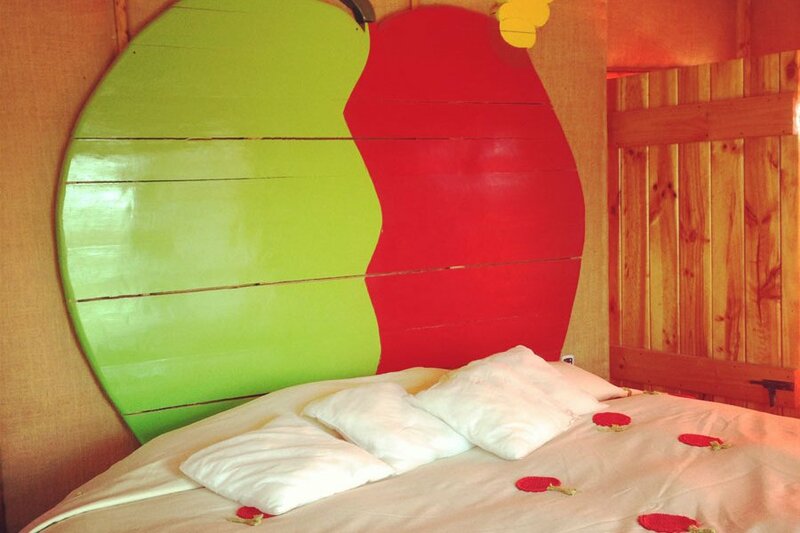 And the foreman sleeps in an apple bed. The worm! 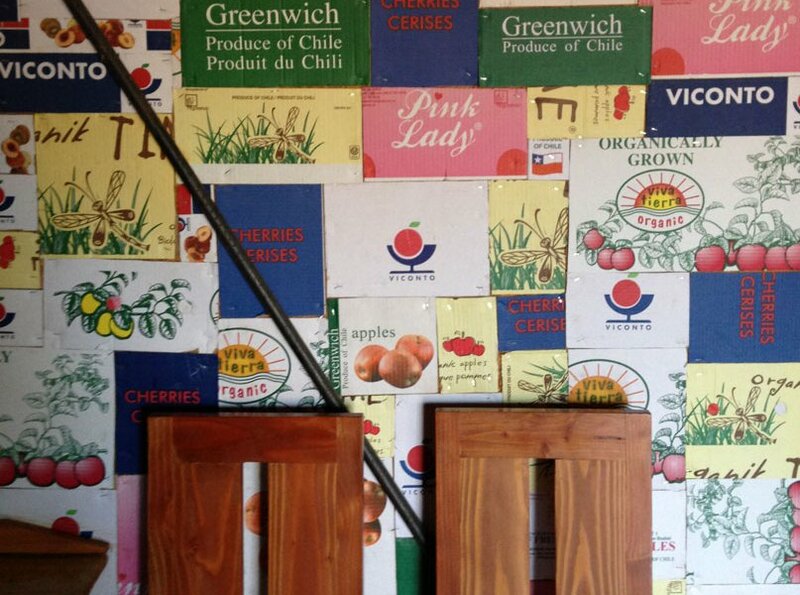 The walls of the conference room / dining room are covered with their own fruit boxes.